In the winter I usually make soup once a week. I either put it on the stove and let it simmer for hours or put in in the slow cooker and let it cook all day while I’m at work. 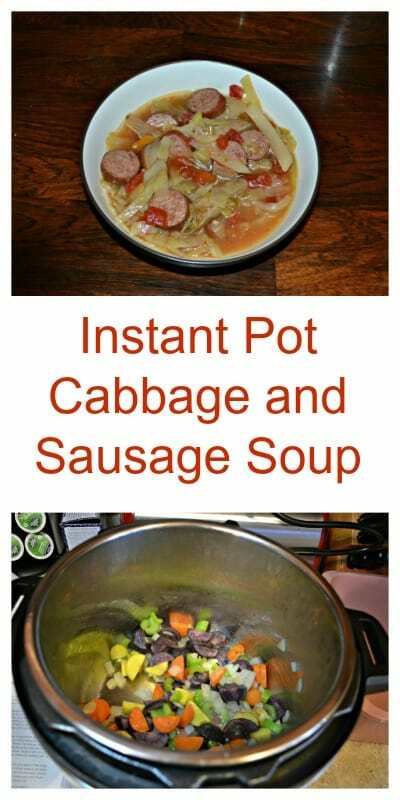 Now that I have an Instant Pot I can cook the soup when I get home and it’s ready in about 3 hours. I love it! We have a rotation of soups we go through every month. 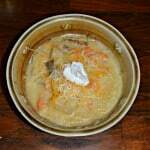 We usually have chicken noodle with my husband’s homemade noodles, potato soup, vegetable beef, and sometimes chicken tortellini. Occasionally I’ll come up with something different and exciting and we’ll have that. My husband loves cabbage. I mean he’ll eat it in just about everything. He likes cole slaw, he likes sauerkraut, he likes cabbage in salads. 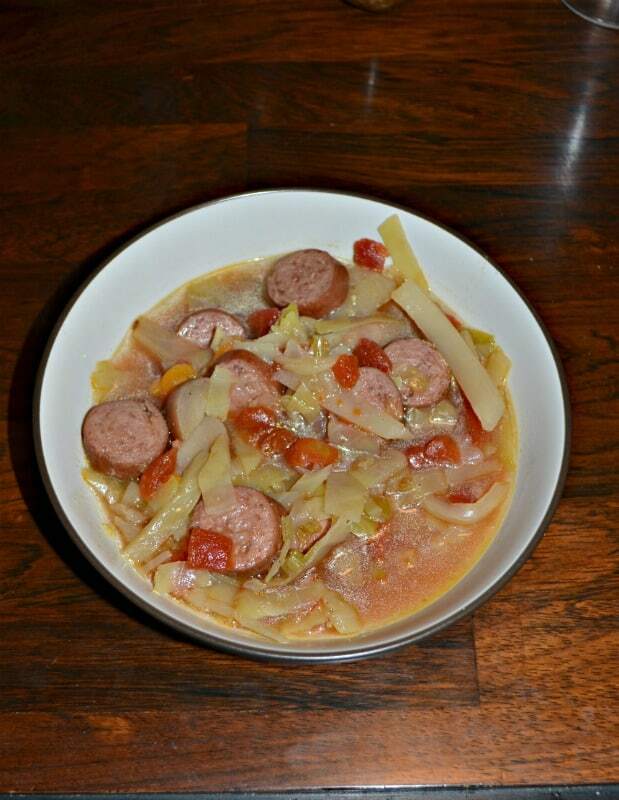 So when I found a recipe for a cabbage and sausage soup I knew it was going to be a hit with him. 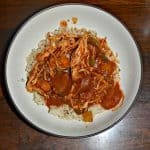 The fact that it is made in the Instant Pot meant I knew it would be a hit for me. The recipe starts with onions, carrots, celery, and potatoes being sautéed in the pot. Then I added in the smoked sausage. The broth is made with beer, chicken broth, and diced tomatoes. Then everything is finished off with seasonings and the cabbage. 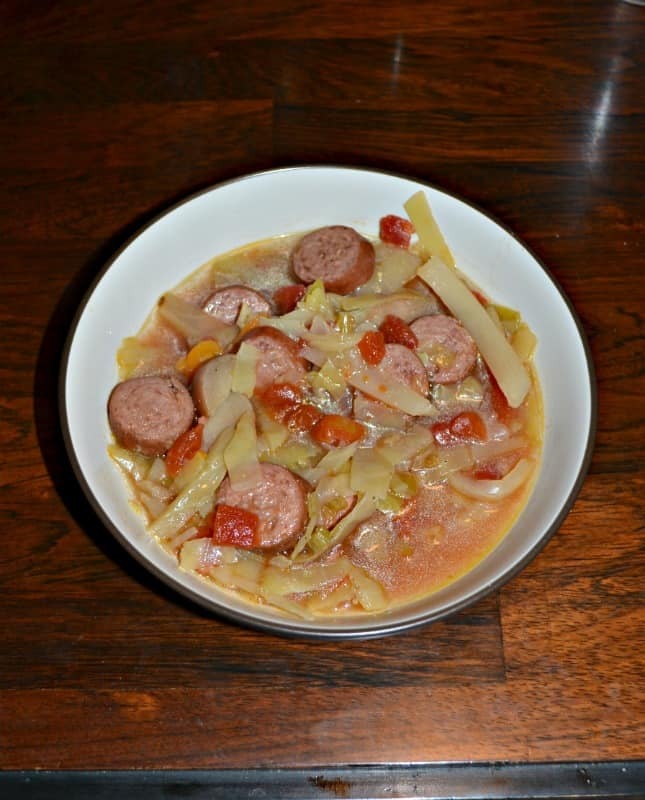 This would be a great recipe for Oktoberfest but it was also pretty delicious as a winter soup. 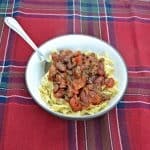 It’s hearty and flavorful and we served it with bread. 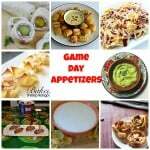 We didn’t really need anything else with it plus it was super easy to make! 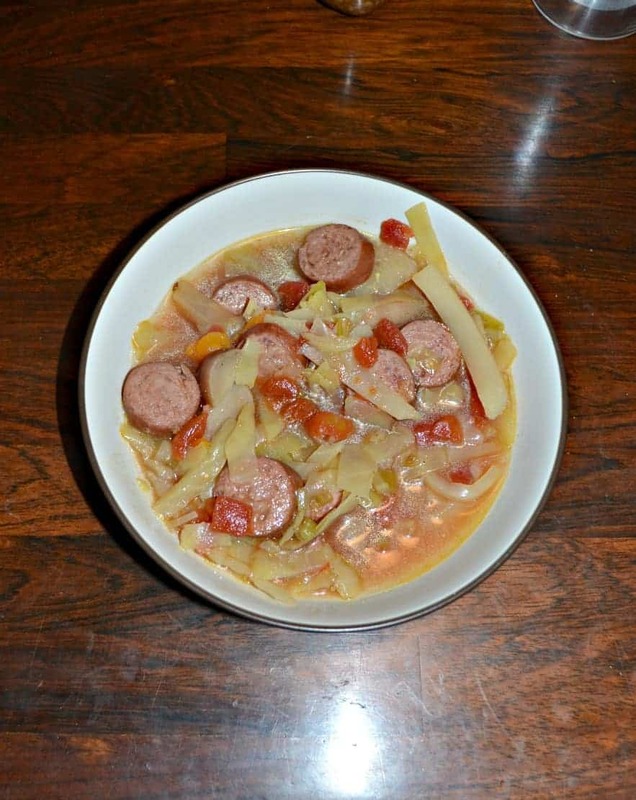 A delicious soup filled with vegetable, cabbage, and smoked sausage. Press the saute button on the Instant Pot and heat the olive oil. Add in the onion, carrot, and celery and saute for 3-4 minutes. Add in the potatoes and garlic and saute for 3 minutes. Add the sausage to the pot and stir fry for 3 minutes. Pour in the beer to deglaze the pot. Change the setting to Less and simmer for 5 minutes. Add in the broth, mustard, tomatoes, cabbage, caraway seeds, salt, and pepper. Place the lid on and lock. Press the soup button and adjust the time to 20 minutes. When the timer goes off let pressure release naturally for 5 minutes then quick release the remaining pressure.